There is nothing better than a white classic lace top. And this top is perfect! 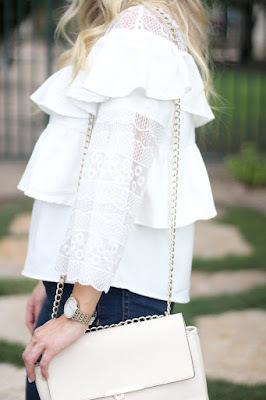 I love the combination of lace and ruffles with the flare sleeve. 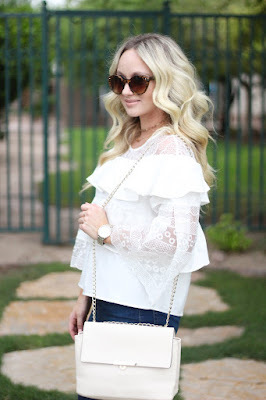 Lace is everywhere right now for Fall and can also cost a pretty penny too. I love that this one is super affordable for everyone (only $18!). I paired it with some booties and jeans for a classic casual look. 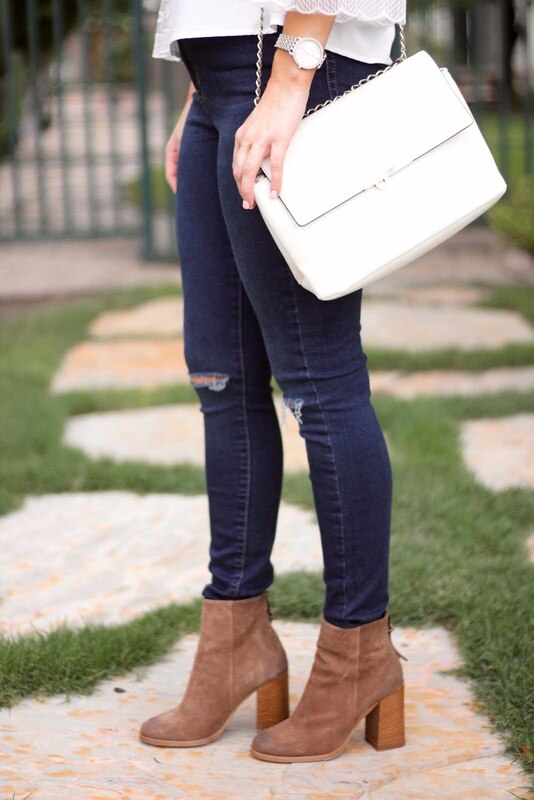 You could easily slip on some pumps instead of the booties for a girls night out or a date night. I want to take a moment to remember all those who lost their beautiful lives today during one of the most horrific attacks on the US. As the years go on, it doesn't get any easier. 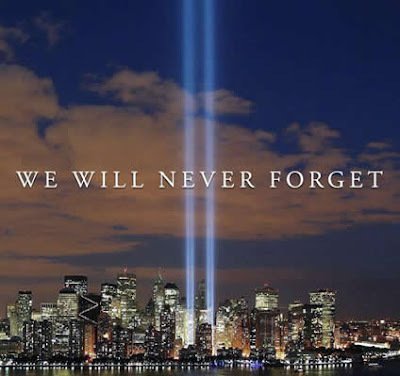 God Bless our beautiful country.